I have had the great pleasure of being interviewed for Irreversibly Moi by the lovely Sue Wojtkowski. 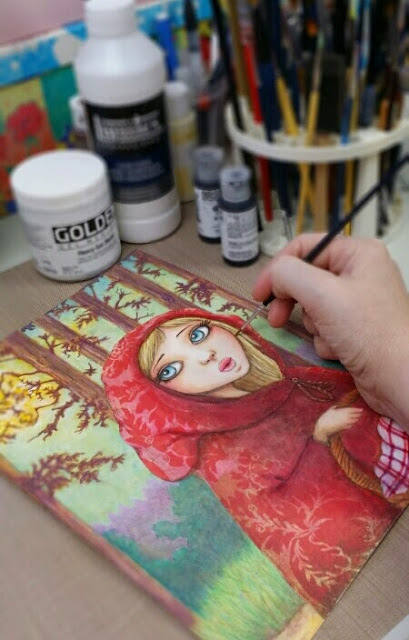 Check it out and you can also be in with a chance to win one of my art prints! Just click on the picture to bring you to the interview. I am not a big coffee drinker but I do enjoy a really good coffee once or twice a week. My sister makes up for me! 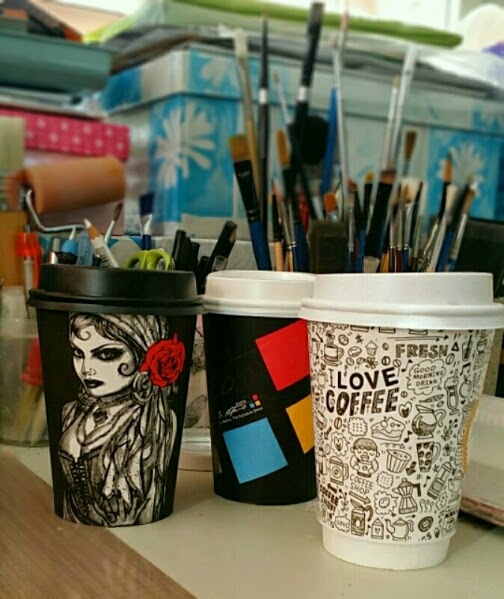 It makes me happy to see how art has made its way onto the take-away cups and containers in Australia; until recently this was limited to Christmas designs in the lead-up to the end of the year. Being a sucker for packaging design, it always sways me in my purchases. I love how a creative graphic design on packaging can elevate the ordinary into something quite special. I am currently visiting family in Ireland. I ordered a large coffee and was left wide-eyed by the cup size. I don't remember coffee being available in super-size!! I haven't spotted any artistic designs on the take-away cups here as yet but I am keeping an eye out! However, my coffee came with a really cute flower design incorporated into the froth on top. 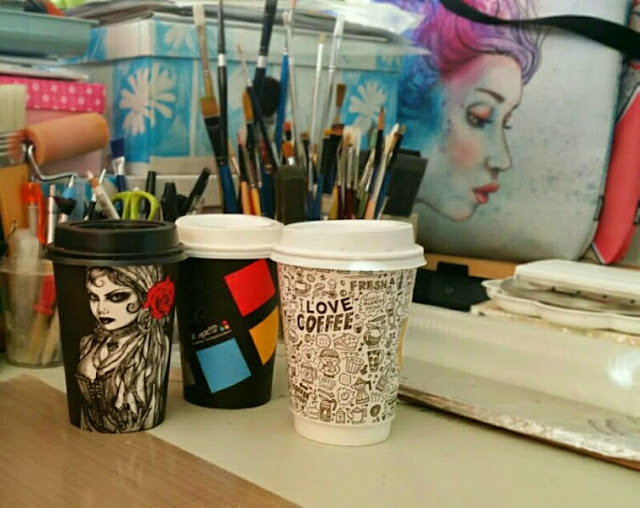 Have you come across a clever or eye-catching illustration used on any of your everyday product purchases? I would love to hear about it.